Hunting, gathering, fishing, self reliance. Thank you both for the clarity! I tossed this one out. Thanks for the comment EB! It was not quite as soft as marshmallow... Maybe like a stale one. The firmness that you mentioned, is it associated with the maturity of the specimen? Or is this a characteristic of a non-edible species? I found this small puffball in my front lawn, right at the edge of a wood chip bed. It had sprang from the soil, at least in appearance. I do not know much about puffballs, but the outer skin stained green/yellow slowly after cut. The skid pealed away easily. I don't think I could say that the flesh is "pure" white, but it is white on the inside. I have read that poisonous and other non-edible puff balls are not "pure" white on the inside. I am wondering if this one is edible. 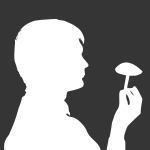 Unfortunately, I didn't get a spore print from the specimens that I picked. I think they must have been too young. I had hoped to get back out and get some more mature mushrooms to print, but I had a trip to Mississippi planned for thanksgiving. After getting back, we got about 1' of snow! So, I may have to wait until next year to try again at these. I'm still learning, so I really like to investigate before eating. Bummer though!! Found hundreds of these guys while stalking up on some mule deer in North Dakota today. They were just inside the wood line off of a pasture field. Rich compost soil. Mixed hardwoods. I believe they are the shaggy parasol, C. Rhacodes. Waiting on spore print. I may be going back tomorrow to collect a few more specimens for observation. I guess it is time to admit that I have a problem. The deer were in site, and I was investigating mushrooms! The odor seems a bit strong for my sinus and nearly clogs me up. The first 7 include the first 3 boletes suspects. Found in mixed hardwood leaves. The dirt is more dry and sandy in this area, althout it had plenty of leaf matter as well.Some oak. The next 4 pictures show the puffballs with a gray inside. An older specimen had grubs inside. You can see the fly hole in the top. These were found in the same area as the above group. Next are 3 boletes found in some moss. The same mixed hardwoods are around. More moist. The last one was found in a more shaded area with some other vegetation. Dave, can you give any advice on favorable and not so favorable spore print colors when trying to ID oysters? Also, you can see that the gills are staggered in length. They are not all full lengthens gills. These are not breaks in the gills. Dave, apparently my wife doesn't love mushrooms as much as I do. She found them "laying around" and put them in the can. I didn't get the print. Anyway, you can see the smaller ones dont have the split edges. Is it common for oysters to get so large? The largest was nearly 5 inches across. Jeff, I am from Biloxi. I am actually in North Dakota working the oil boom right now. My interest in musicology didn't peak until after I arrived here. I should keep an eye on your posts so that I may become familiar with the local pickings! Great pics and good job on getting the whole base of the stalk! I found these on a stump outside of church. We just had a bit of rain the past few days. The one on the bottom(more white) seems to be the same species but maybe more mature. The gills are attached. Most of the mushrooms here are attached at the bottom (growing from a clump). I agree Cedric, the A, B, C really works well. I might adopt this method if you dont require royalties. Oh yea, there were trees right near the white cap. The tree was a hard wood (same as pholiota host). I did attach a photo of the foliage, because I am unsure of the species. Thanks for the advice Dave. You have a wealth of knowledge and I am thankful for what you share...... I went back to the white cap. Gills attached and white. Clumped. I am working/waiting on a print..... back to the pholiota- print was weak but l looks brown. (I am colorblind so it could be reddish. I would ask my wife but she isn't here.) Ill just post it(bottom). Thanks Dave. I just notice that you can probably tell apart the mushrooms that I thought were appetizing from those that I thought not by the number of pictures and details captured. I am working on the spore print on the pholiota and I will gather more info on the white ones later. Thanks again!